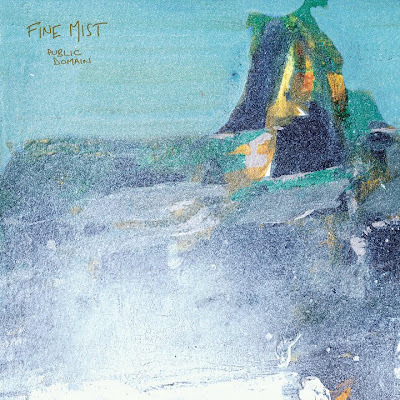 Fine Mist is an electro-pop duo from Vancouver comprised of Jay Arner and Megan McDonald. I first encountered the music of Fine Mist back at their Music Waste show at The Cobalt with my pals, Petroleum By-Product. I vividly remember their great stage presence and enthusiasm. Although I was not particularly enthralled or in tune with their songs, I enjoyed their overall stage appeal and musical act. I made sure to take note of this Vancouver electronic duo. Hearing bits and pieces of their work the last few months, I have been impressed with their progressive sound and lyrics. Fine Mist just released independently their debut album, Public Domain, which you can hear streaming in full on their CBC Radio 3 page. On a first listen to the album, I was hooked. This is a very mature, intriguing debut record. I really enjoyed their refined dance, electronic sound and rhythm. It definitely struck a chord with me. There is an ongoing thread throughout the record about relationships and dynamics I found enthralling. Their subtle hooks about feelings and emotions mixed with vibrant dance beats is highly engrossing. "O Wake" is a great lounge tune that evokes a misty haze of feelings in the soul. "In the Mountains" zips with a gentle flow with engaging beats. "Stop or Start", "Heart Attack", and "Murder Murder" are all great dance tracks with lyrics that speak to the haunting emotions of love and loss. Public Domain is a great listen and an admirable debut. The record breathes and flows with a great sense of musical pace and energy. Hit play and the entire album breezes through your mind like a musical journey of past relationships on the dance floor. Note: Read my interview with Fine Mist on the CBC Radio 3 blog.